An android is a robot in human form or a biological robot; androids have been a mainstay of science fiction since the 1920s when they first appeared in Karel Capek's film RUR. The first modern use of the term may have been in Jack Williamson's The Cometeers (1936, book version 1950). The distinction between mechanical robots and organic androids was popularized by Edmond Hamilton in his Captain Future series a few years later, and had become a feature of mainstream press discussion of SF by 1958. 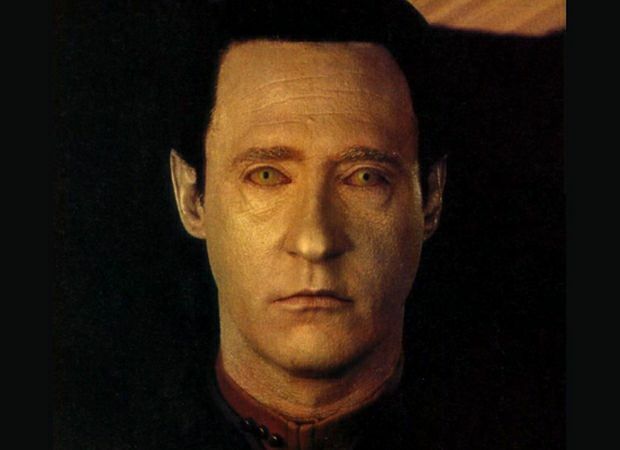 In more recent times, the most endearing fictional android has been Mr. Data of the television series, Star Trek: the Next Generation. Conceivably, such creatures will eventually be built as artificial intelligence, achieved through the use of powerful, general-purpose neural networks, is encapsulated within a sophisticated, lifelike framework. Androids would be particularly useful for interstellar missions, since their appearance and behavior could be made sufficiently human for them to blend in well with biological crew members At the same time, their superhuman capabilities would allow them safely to test the waters of potentially hostile environments. An even stranger possibility is that, at some future point, human beings may decide to evolve into androids themselves. Replacing a frail, short-lived biological body with an effectively immortal substitute made of indestructible materials might be an option worth considering for interstellar travelers. Not only would they be better equipped to deal with otherwise life-threatening emergencies but they would not have to worry about growing old on potentially long journeys between the stars (see interstellar travel). Whether such a melding of man and machine will ever transpire, it seems certain that high levels of machine intelligence and sophisticated robotics will play a crucial part in our and other races' explorations of the Galaxy. The day of the android may still be some way off but scientists are already evolving aspects of the technology that these creatures may depend upon. In 2005, researchers at the University of Tokyo announced they had developed a flexible artificial skin that could give androids and robots a humanlike sense of touch. The team manufactured a type of "skin" capable of sensing pressure and another capable of sensing temperature. It is, say the researchers, supple enough to wrap around robot fingers and relatively cheap to make. Takao Someya and his colleagues used electronic circuits as pressure sensors and semiconductors as temperature sensors. 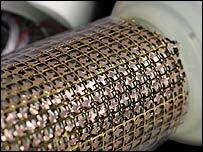 They embedded these sensors in a thin plastic film to create a net-like matrix. Organic materials The transistors used in the circuits and the semiconductors both use "organic" materials based on chains of carbon atoms. This makes them mechanically flexible and relatively inexpensive to fabricate. 1. Moravec, Hans. Robot: Mere Machine to Transcendent Mind. New York: Oxford University Press (1998).